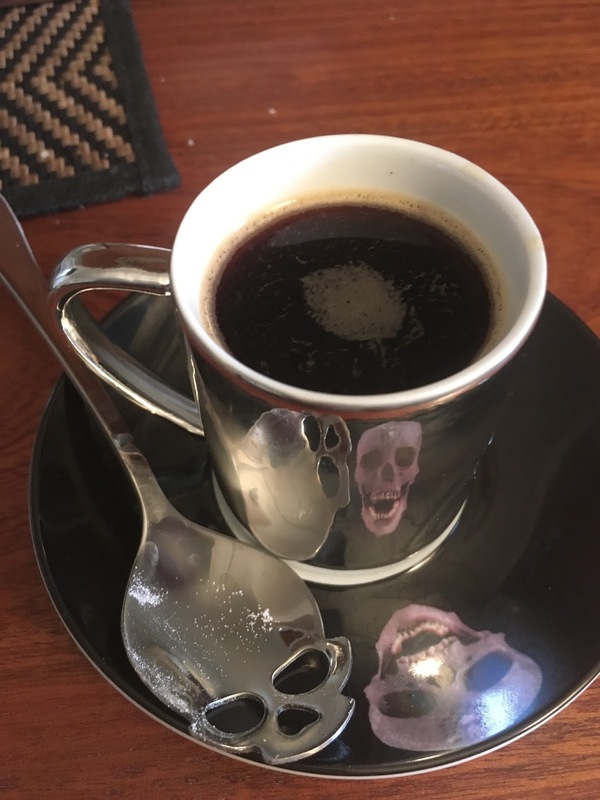 Not much food related to this story, but I made myself an espresso today in my usual fashion and really looked at my espresso cup and sugar spoon for the first time in a while and realized how... me... they are. The cup features Damien Hirst's famous diamond skull, printed on the saucer, with a mirrored cup reflecting it. Gift from my friends M. And L. And the spoon is one of a pair that was also a gift, from one of my sisters. It is pretty awesome how well they go with one another, and how well they suit me. And it's good to be reminded, or see with fresh eyes, things that make us happy. Caffeine and shiny skulls are two things on that list for me..